Europcar, the leader in car hire services in Europe, continues to keep tennis players and officials on the move as part of its exclusive partnership with the Lawn Tennis Association (LTA). The company is supplying cars for the Davis Cup by BNP Paribas Quarter Final tie at the prestigious Queen’s Club which starts later this week (17th-19th July 2015). 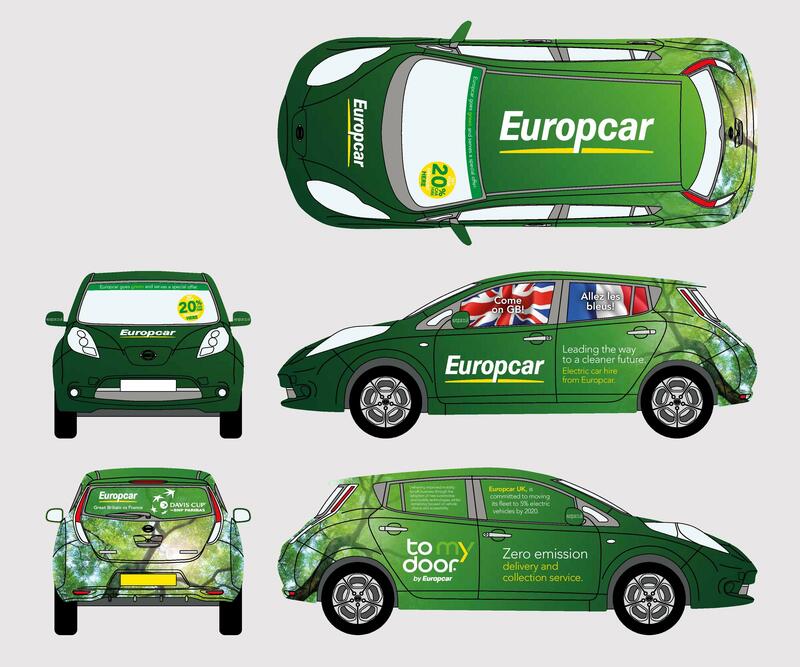 With a focus on the clean air ambitions of London, the Europcar fleet for the Davis Cup tie will include a convoy of Nissan LEAF electric cars, as well as eight Mercedes E Class Estate cars which feature the latest advantages in low emissions technology. “It is an honour to be able to play a key role in the LTA’s summer tournaments, providing essential transport solutions,” says Ken McCall, Managing Director, Europcar UK Group. “The next event on this exciting programme of world-class tennis is the Davis Cup, which sees Great Britain take on last year’s finalists, France, at the Queen’s Club. Our Nissan LEAF display car on-site is splashed with the flags of both nations to cheer on the teams either side of the Channel. And, crucially, the electric vehicles on Europcar’s Davis Cup fleet are perfectly aligned to the Mayor of London’s Electric Vehicle Delivery Plan.